Increasing waistline is one concern of many worldwide. There is no overnight cure for shedding that extra kilos. Those who want to loose weight naturally have landed up at right page. 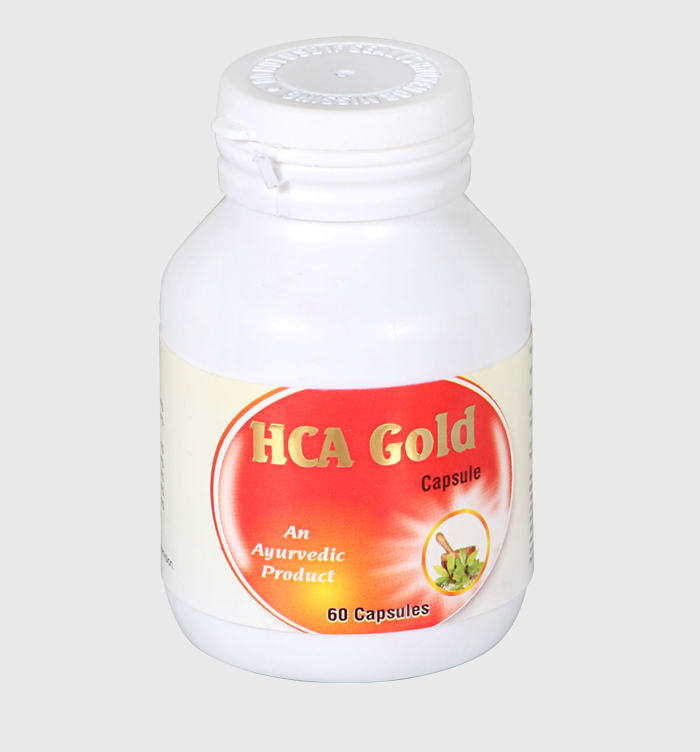 The online store of Ayurvedic HCA Gold Capsules with headquarter in Bahadurgarh, assist you in your weight loss journey. Buy HCA Gold capsule, an Ayurvedic product works by mechanisms, like reducing appetite & absorption of fat and increasing fat burn. It contains tregnella foenum graecum, garcinia cambogia, piper retrofractum, colchicum luteum, commifora mukul, and anethum sowa; which are claimed to help with weight loss. The time period of effective results is not clear, it depends on person to person. These capsules sold over-the-counter are natural, safe to consume and does not require doctors consultation for consumption. When one consumes this capsule, it sits in the gut, breakdowns fat and promotes the feeling of fullness.